All you have to do is show us where you HOOQ! Do you do it in bed or while you’re exercising on the treadmill? Do you HOOQ in the morning while having breakfast or when you’re stuck in traffic on the way home? Wherever or whenever you spend your HOOQ time, those special moments can win you and your friends a trip to Hong Kong Disneyland! Take a photo of your best and most creative HOOQ moments and post them on Facebook, Twitter and/or Instagram. Tag HOOQ’s official accounts and use the #HOOQTimeAnytime hashtag. Just make sure your account is set to public! Every Monday, HOOQ will choose the most deserving entries to win some awesome prizes and for the grand raffle draw the lucky winner will win a trip for 4 to Hong Kong Disneyland inclusive of a two-day pass to HK Disneyland including airfare, pocket money and accommodations! The Grand Prize will be picked via draw lots. 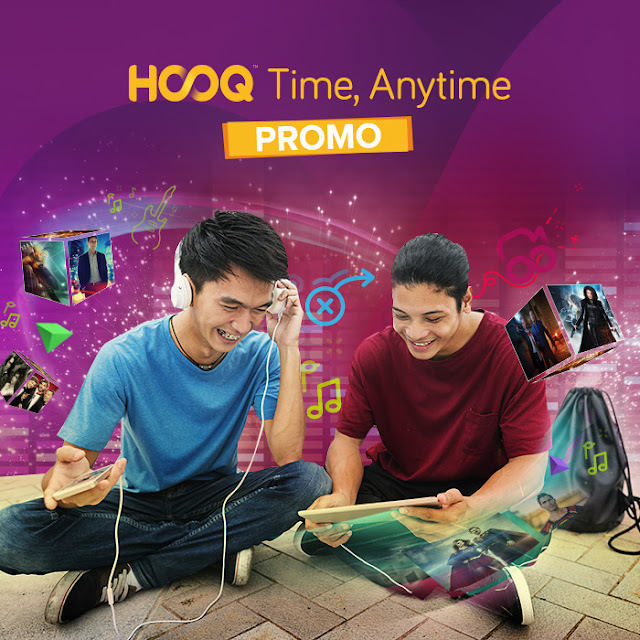 This promo is open to all active HOOQ subscribers (free and paid) who have availed of the service direct from the website or the app. So what are you waiting for? Download HOOQ now and enjoy the latest episodes of your favorite Superhero TV Series, binge watch on thousands of movies, and enjoy the largest collection of Filipino content available on any video on demand service. Labels: HOOQ!, trip to Hong Kong Disneyland!